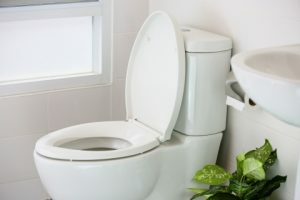 The toilets in your home get a lot of use throughout the year, but it’s only when they start to malfunction that you notice just how much you depend on them. In today’s post, we’ll take an in-depth look at four of the most common signs that you need a new toilet. When you’ve finished reading, be sure to schedule a residential plumbing appointment through our website. Many Toronto plumbers are taking the holiday season off, but you can count on us for fast and dependable service, no matter what time of the year it is! 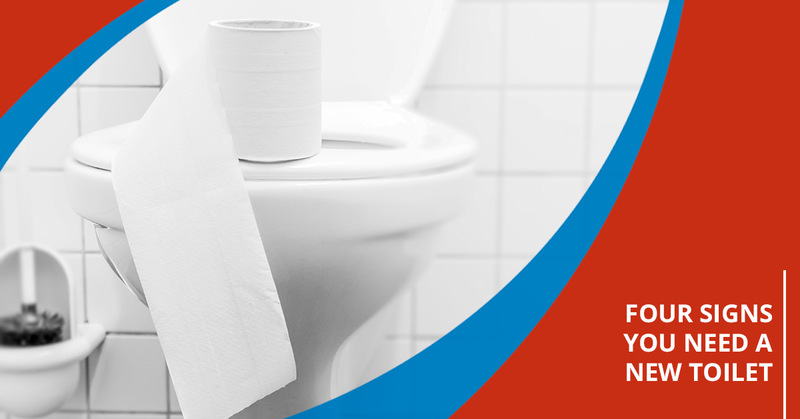 Frequent clogs and overflows are two of the most common problems homeowners experience with their toilets. It’s completely expected that your toilet will clog every now and then, but if it’s happening more and more frequently, then you need to call a Toronto plumber for an inspection. The pipes connecting your toilet to the city’s sewer system could be blocked, or your toilet could be having water pressure problems. A toilet that constantly runs isn’t just annoying, it’s expensive, too. The problem is generally that your fill tube isn’t working properly, and thankfully, this is a fairly easy fix that can be implemented by your plumber in a matter of minutes. However, if the problem persists, then it may be more cost-effective to shop for a new, more efficient toilet. As we’ll explain in the next section, constant running is often a sign that your toilet has a crack in the porcelain. Cracks and wobbling are two related, but distinct, problems. Cracks in the toilet’s porcelain can allow water to leak into the walls and floor surrounding the toilet, eventually leading to mold and mildew growth. More often than not, wobbling is caused by loose screws that simply need to be tightened by a plumber. However, wobbly toilets are sometimes caused by the floor surrounding the toilet becoming unstable due to rotting wood and mold growth, so don’t hesitate to call a plumber the moment you notice that your toilet is shifting. Much like your car, HVAC unit, or anything else you depend on in your day-to-day life, there comes a time when you need to weigh the cost of repairing something against the cost of a new model. If you’ve had to call a residential plumber several times this year due to toilet problems, then it may be time to consider investing in a replacement. As Toronto’s residential plumbing experts, our mission is to provide homeowners in the area with accurate and reliable information that helps them make an informed decision. We can come to your home and inspect your toilet, diagnose any problems, and make a recommendation about whether you should repair or replace the unit. Call a Toronto Plumber Today! We hope that today’s post will help you determine if it’s time to invest in a new toilet. With the holidays just around the corner, there’s no better time than right now to invest in preventative residential plumbing. Schedule your appointment through our website — we look forward to speaking with you soon!